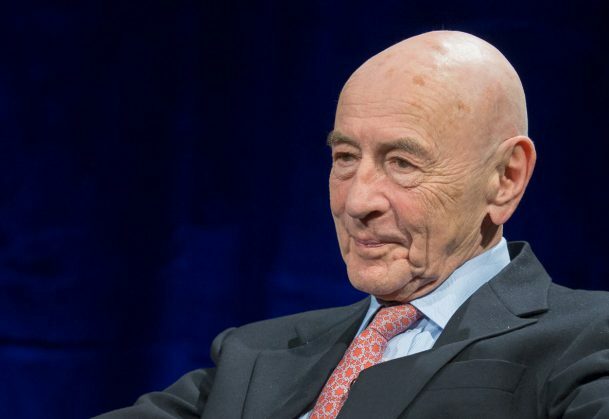 APS Past President Walter Mischel’s studies on children’s self-control are classics in the field of psychological research, and he reflects on his storied career and other aspects of his life for an Inside the Psychologist’s Studio interview. Mischel was interviewed for the APS video series by APS Past President Mahzarin R. Banaji in March during the International Convention of Psychological Science (ICPS) in Vienna, Austria. The interview was recorded before a live audience. Mischel’s studies in childhood self-control, known popularly as “the marshmallow tests,” are among the most famous and impactful experiments in the history of psychological science. In the 50 years since he tested children’s ability to delay eating a single marshmallow so they could have two marshmallows later, Mischel has documented correlations between self-discipline and life outcomes ranging from educational attainment to body-mass index. Follow-ups with the original participants of the marshmallow experiments also reveal important differences in cognitive and neural mechanisms linked with their self-control over the life course. Mischel’s findings revolutionized the field of personality psychology and sparked the development of new methods and models to study individual differences in social behavior. He is an APS William James Fellow and he received the Grawemeyer Award in Psychology in 2011. He was elected to the National Academy of Sciences in 2004 and the American Academy of Arts and Sciences in 1991. In addition to discussing the details of his research, Mischel talks about growing up in Vienna and later in Brooklyn, N.Y., how his children inspired some of his most important work, and the significance of his being honored in 2015 with the congressionally endorsed Golden Goose Award recognizing studies that have led to major societal impact. Walter Mischel has been will always be a source of inspiration for me and many thousands of psychologists. I have read and cited Walter Mischel’s work throughout my career. His innovative approach to understanding personality certainly helped me develop my own work.